Read just a few of the comments that Dollies’ Dressmaker customers have had to say over the years. Easy transaction, quick shipment and beautiful dresses! I will purchase from her again! I have been a happy customer of The Dollies’ Dressmaker for fifteen or more years, and every one of my shopping experiences has been excellent. My only wish is that Cindy would design and sew for more dolls. My Furga Alta Moda dolls, my Little Miss Revlons, and my Tonner Pollyanna would all love to wear her clothes! Excellent products and wonderful, efficient, friendly service. We have purchased items from Dollies’ Dressmaker many times, and have always been very happy with the experience. Loved my purchase! Would recommend anyone who collects Historical AG to shop here. We have bought many doll dresses from The Dollies’ Dressmaker. They are always beautifully done, and her service is excellent — friendly, prompt, and accommodating. This is an awesome seller. Impeccable, gorgeous outfits, great service, garments arrive beautifully pressed, and lovely embellishments. I have bought from the Dollies Dressmaker for years and love the merchandise. Very trustworthy and prompt. I can’t say enough good things about this merchant. Wonderful! The items were shipped quickly and arrived in pristine condition. The Dollie’ Dressmaker uses lovely material and puts a lot of attention in the details. I had only planned to purchase one outfit, but I was so impressed that I have since ordered four more. They were made from lovely material and professionally sewn. I couldn’t have asked for more. I love the quality and service I get from The Dollies’ Dressmaker. I have yet to not be 100% happy with my purchase I shop The Dollies’ Dressmaker quite often. Wonderful! We have purchased from the Dollies’ Dressmaker numerous times, and have always been very happy with both the service and with her wonderful doll outfits. 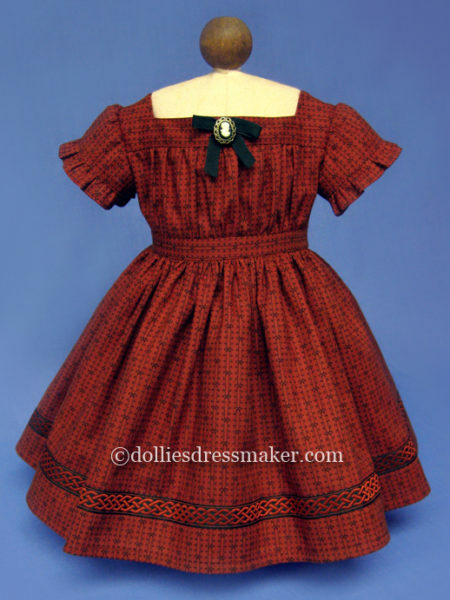 I have yet to have a bad experience with Dollies’ Dressmaker. The quality of the clothes is second to none. The customer service is unbeatable. Delightful, as usual! her doll clothes are unsurpassed in every detail. My thirteen American Girl dolls and I are long-time customers of The Dollies’ Dressmaker, and we are always thrilled with the charming doll clothes and the outstanding service. My latest shopping experience was no exception to the high standards that I have come to expect. Cindy Hernandez creates the absolutely most beautiful clothes for the AG dolls that I have ever seen anywhere, and I have been a collector for nearly twenty-five years. Delivery was super fast! I love the quality and service I get from Dollies’ Dressmaker. I will definitely shop again and soon. I have bought outfits for 18″ dolls a few times. The quality of the clothes is excellent and they come in a very timely manner. I used to buy things for my daughter and the latest purchase was for a grand-daughter. I have bought things from this seller for several years, and am never disappointed. Highest quality in every respect!! Very good! Item was as pictured, packaged well and arrived in a timely fashion. Cindy never disappoints! she ships promptly and her doll clothes are unsurpassed in every way. 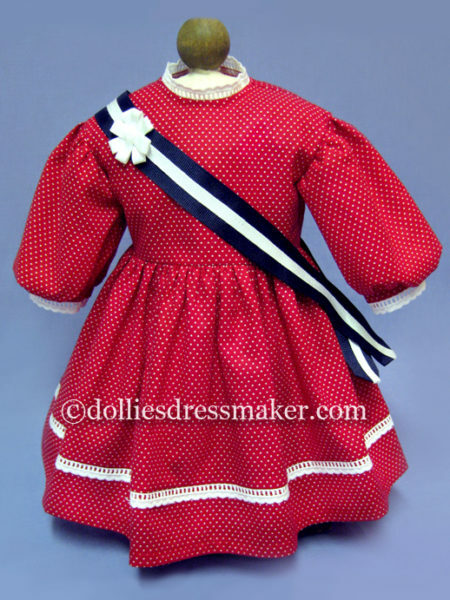 The Dollies’ Dressmaker offers the nicest historical outfits for American Girls dolls that I have seen anywhere. They are historically accurate, meticulously detailed, flawlessly sewn, an promptly shipped in careful packaging. I highly recommend this seller! The customer service was outstanding. I double ordered several things and it was caught and corrected. The items were delivered in a speedy fashion and packed well. Clothing from this dealer is of the highest quality and worth every penny. Service is prompt and the merchandise arrives in excellent condition. I have bought from here many times and am always satisfied. My wife and I have purchased from the Dollie’s Dressmaker many times, and have always been very happy with both the excellent quality of her work and the promptness of the service. Excellent. The quality of the dress was the best I’ve seen.